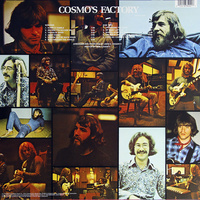 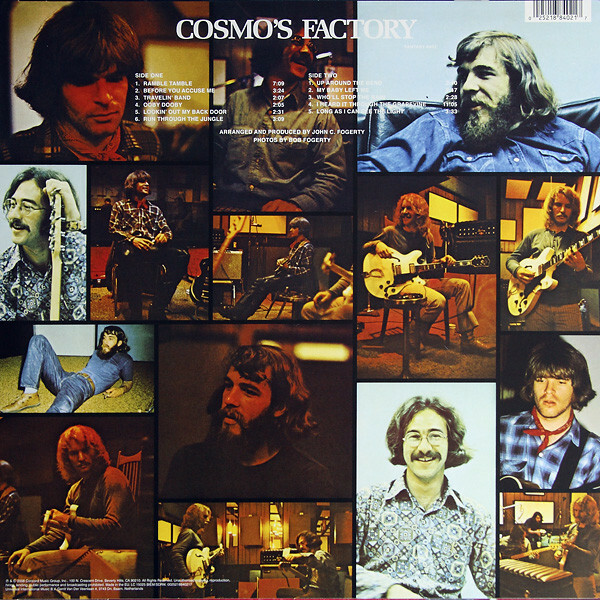 Cosmo's Factory, released July 1970, included the hits "Traveling Band", "Who'll Stop the Rain," "Lookin' Out My Back Door," "Run Through the Jungle," and a swampy 11-minute rendition of the Marvin Gaye hit "I Heard It Through the Grapevine." 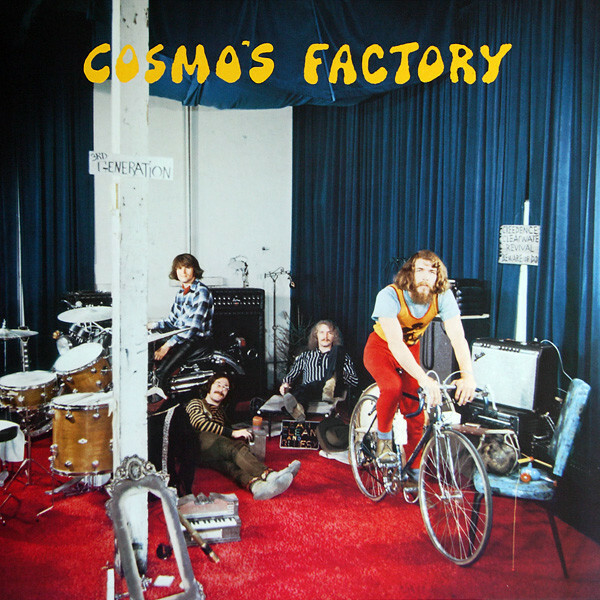 The album, cited in Rolling Stone's 500 Greatest Albums of All Time, was named after the room in which the band — John, his brother Tom, bassist Stu Cook, and drummer Doug Clifford — used to practice. 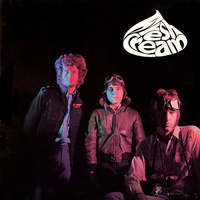 By 1990, it had been certified four times platinum by the RIAA.